I am grateful to my client, C, who always brings interesting challenges. C is a coach herself and her policy is one of radical honesty. If she’s feeling it, she shares it; she doesn’t hide it away. Transparency is her middle name and she often outs herself online. One of her other mentors offers a question; “What is it you don’t want me to know?” Try that one if you want instant access to your growth opportunity right now! Historically C hasn’t been much of a blogger. But recently she published her first vlog. It wasn’t the first video of hers I’d seen. While they may not yet be of the highest quality, they are more than good enough. They show her off in all her vibrant energy which she enjoys in bucketloads. The good (marketing) thing is that C is prepared to create video content and she loves doing it, so she has the potential to be consistent at it. 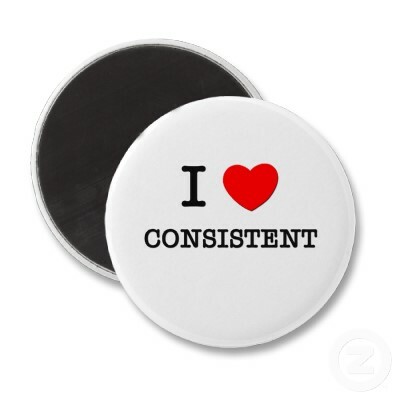 And when it comes to content creation, consistency is a boon. And yet, today my client doubts her ability to be consistent. She knows she can start things. What Creator wouldn’t recognise that dilemma? We’re starters. We’re off and running, full of excitement, but do we have what it takes to see it through? We don’t always know. Much could change. C could lose interest, or have a change of heart or direction; she could be distracted by some other glittering opportunity. It happens. It’s happened to me. Happily most of our fans and followers don’t notice. Everyone else is too busy debating the dilemma for themselves to notice whether you fall off what you start. But they do appreciate consistency and they are not the only ones. Everyone likes to know where they are. One thing I am pretty sure of about myself is that I do have the ability to be consistent. Once I start something I am committed to, I mostly finish. For me, this is professionalism. It is more likely to go that way if I have commitments to clients. Although I don’t rule out shutting down something I’ve started, if it were in my power to do that in a way which served my clients first at my own expense, I would at least consider that and give it priority, possibly even above my own needs. That’s commitment. When it comes to commitment and consistency in my own life (and sometimes in my own marketing initiatives) I am less sure and more experimental. I often start things and if I like them I may stick with them. Or not. I was able to come up with three examples from my own life which speak to this. 1. In my book club, which is in its third or fourth year possibly, it’s been a while either way, we commit to read books which we would not necessarily choose to read if left to our own devices. This is both the best and the worst of a book club. When time is poor I think to myself ‘why on earth am I reading THIS?’ But the truth is this…when we finish a book we have not chosen, a tough one, a long one, that is its own reward. We feel great. We’ve stuck at something hard. We’ve seen it through. We are giant killers. And although we often joke about re-naming ourselves The Short Book Club, we do not. We keep on picking, accidentally or on purpose, really challenging long reads which often mean we cannot meet monthly but must allow more reading time in our busy lives. Consistency, commitment to each other and completion have become their own reward. 2. When I blogged last year for 365 consecutive days, I picked something I thought I would be able to achieve. I’m not a complete numpty. But, even so, it was still testing. Have you ever done anything for 365 consecutive days, something of a challenging nature? Sometimes it means you have to plan ahead, to have some in the bag for when you are feeling sick, or not up to it or the muse doesn’t strike. The muse doesn’t strike very often round here. Writing is about daily commitment, not waiting for the blessed muse. Like Santa, she’s got a lot of writer’s houses to visit. We must wait our turn. But if you show up daily… well, she’s SO much more likely to repay that commitment and reward your developing a consistent writing habit. 3. I’ve been in work projects with clients before, all my adult life, in fact, with accounting clients, travel agency clients, Cleaning Biz clients, Money Gym clients, my current and past coaching clients and when I take them on, I intend to see through my commitments or hand them over to someone who can look after them at least as well as me. So when I start something, I finish it. If I am not sure of my ability to do that, I don’t start it. End of. If I take a year’s fees in advance, I will be there at the finishing line. That’s my pledge to you. We can all do this. Parenting is a good example. My friend Susie says that parenting is the only irrevocable decision we ever make. You can’t say “God, I’m sorry. I made a mistake. Take this one back”, however much you might want to. You can change your mind about everything else, but not that. So, most people are parents and most people see that one through just fine. Which means we do have it in us to be consistent, to keep on showing up, when our commitment is sufficient or our love enough. The odds on success will be much greater if you start of by picking and sticking something you love, something worthy of your commitment, something likely to lead to consistency, to you seeing it through. In my three examples, I love reading, I love writing and I love my clients. Easy! So it’s likely I’m gonna win with all three of those, despite the bumps along the way – which are perfectly normal and just make the journey even more interesting. The great thing with reading is that I could, if I wished, lob the book out the window. Ditto the 365 blogging, I could abandon it. No-one would know. Or care. And I would never do that to you if you were my client and it was within my power. I’m all in, me. When it comes to commitment and consistency, what do you choose to be worthy of your being all in? I’d love to hear.